Dr. Jay Werthmuller, DC, age 57 of Murfreesboro went home to be with the Lord April 26, 2017. He was a native of New Orleans and was the son of the late, 1st Lt. Lloyd Nicholas Werthmuller. 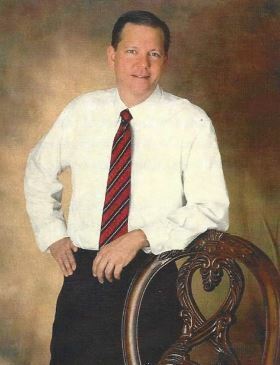 Dr. Werthmuller was a member of Northside Baptist Church and was former owner of Chiropractic Care Center, and owner of Tri-City Injury Center in Florence AL. He was a member, and Treasurer of Stones River Car Club in Murfreesboro. A few years ago, a stranger came to Tom Collins’ shop. He wasn’t riding a golden palomino, but a green ’50 Chrysler Imperial. Getting out of his car he introduced himself as “Jay Werthmuller”. He was looking for someone named Andy. “Well, that’s me” I said. He told me he’d gotten my name from Edwin Florida at Florida Brothers Auto Parts. (Thanks, Edwin!) Jay needed some “old coot” (his words) who might do a couple of repairs on his Imperial. So we sat down and had a long, pleasant conversation. I learned that he was a pretty smart guy. He loved all things American including history, Harry Truman and Walter P Chrysler. I figured he wasn’t all bad and he wasn’t a stranger any longer. Fast forward through several “Imperial” jobs, lunches, Hershey Flea Market, Old Car Festival in Dearborn and a good many visits just talking and sharing time. There just weren’t enough of them. I teased Jay about his beautiful steering wheel in the Imperial and how he literally “treated it with kid gloves”. He teased me about being an old man, but he never revealed his age to me. Then the shocking news came that Jay had suffered a fatal heart attack and was gone. He was just 57. I liked the guy and I’m sure he knew that. A suggestion. Call a friend soon and tell them how important they are to you. Then call another friend. Remember, it really is later than we think. 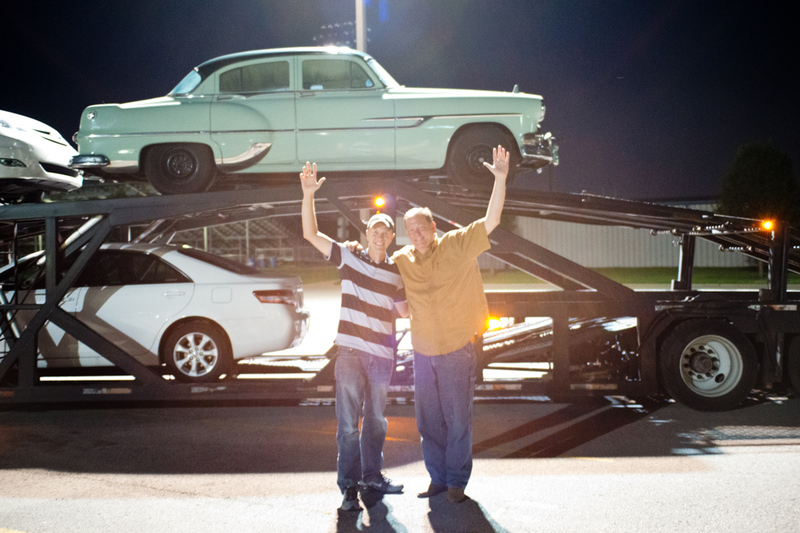 The night the Pontiac Chieftain student car was finally delivered. I thought long and hard yesterday about Jay and how much he did for our club behind the scenes. Many don’t realize the role he played in obtaining the student car and if it wasn’t for him in all honesty we wouldn’t have found the 1953 Chieftain. On many occasions Jay quoted these words to me over lunch, “Remember Jeremy in the words of Ronald Reagan, “There is no limit to what a man can do or where he can go if he doesn’t mind who gets the credit.” Jay lived by these words and they are words he spoke to me that I’ll never forget. He never wanted credit but I tell you he deserves much credit for his efforts, perseverance, and commitment to our AACA Family. Thank you to each and everyone of you for your prayers for the family. Jay’s brother and sister truly appreciate each and every kind word, prayer, and thought. I had the honor to meet Jay at several events and AACA meetings, and his soft-spoken demeanor did in no way detract from his tremendous voice and passion for our hobby, the AACA, or his commitment to the kids the Stones River club is helping participate in this year’s Great American race in their restoration project Pontiac Chieftain.